The reliability of medical devices could mean the difference between life and death. In the medical industry, it is of the utmost importance that manufacturers utilize a reputable metal stamping vendor to produce precise medical device components. Since 2001, the medical device industry has doubled in size, while negative reports, such as injury, death, or medical malpractice, have outpaced industry growth by 8% per year. To reduce these risks, medical device manufacturers must perform rigorous testing throughout the production process, including when outsourcing materials to metal stamping firms. Company-wide engagement and commitment to quality: A commitment to excellence must be instilled in the company culture. Quality should not be the responsibility of only one department, but rather a priority of top management with executive level metrics. Zero defects: This quality commitment implies company-wide dedication to continuous improvement. Achieving perfection is impossible, but a good metal stamping company maintains the highest quality standards and employs an effective corrective action process if necessary. Adherence to global quality standards: As one of the most highly regulated industries in the world, the medical device industry has strict International Organization for Standardization (ISO) standards for original equipment manufacturers (OEMs) and their component suppliers. ISO 13485:2003 – The specific medical industry standard emphasizing the importance of quality, design, process, and manufacturing reliability. This is an additional, optional standard that not every metal stamper strives to maintain, but one that should be considered critical for components unique to medical devices. In-house design, engineering, and tool build expertise: Instead of outsourcing these capabilities, a strong metal stamper maintains them in-house. Further, they understand best practices of many industries to prove the depth of their expertise. Robust launch and qualification processes: Medical device OEMs should seek metal stamping firms that understand and adhere to strict tooling parameters and quality practices such as Design, Installation, Operation, and Performance (DQ/IQ/OQ/PQ). Prevention-focused process control: Metal stampers must primarily focus on problem prevention, with processes or technologies in place to monitor production standards and identify changes as soon as they happen. Strategic supplier selection, monitoring, and evaluation: Monitoring a global supply chain can be overwhelming. OEMs must carefully screen and select only the best suppliers, as well as evaluate them regularly to ensure the continual upkeep of the highest quality standards. Quality training at all levels: Just as executive level positions should share the company’s commitment to quality, they should also provide regular comprehensive training programs to workers and managers at all levels. This ensures that quality is a priority and shared responsibility of every team member. HPL Stampings Inc. is a custom metal stamping, laser cutting, and sheet metal fabricating expert with over 70 years of experience. With major clients in virtually every industry, we are proud to share our metal stamping expertise and unparalleled commitment to quality. 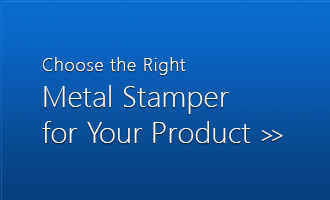 To learn more important quality indicators for medical devices, we invite you to download our eBook, Choose the Right Metal Stamper for Your Product. This downloadable guide contains all of the information you’ll need to choose a vendor that will fit your needs and become a strategic partner in your success.